We know you're busy, so we've made it easy to sign up, choose a tutor, and schedule sessions. Click on the orange 'Sign Up' button in the upper right corner of your screen and fill in the basics to create a PandaTree account. Every time you sign in you'll be taken straight to your personalized parent hub where you can see all your current sessions, schedule new sessions, reschedule and even set up reminders. Once you've signed up, you can pick a tutor and begin scheduling sessions. Click on the 'Schedule Now' button and read through the PandaTree tutor profiles to find the best match for your child. We think you'll be happy with our kid-tested and teacher reviewed tutors, in fact we even guarantee it. Tutor selected, check. Now find a date and time that works for you. Tutors are available starting three days out. Select your time zone, pick your session length and a calendar will open up showing that tutor's availability. You can even schedule a one-time session, or recurring weeks. We need a little information about your child to prepare custom content that matches their interests and ability. Tell us their first name, age, gender and language level, along with the stuff they find cool and anything else you think we should know. You'll also set up your child's username and password which your child can use to sign into the kid hub to start sessions, watch past sessions or even review words. Submit your credit card information. PandaTree accepts Visa, MasterCard, Discover or American Express. Hit submit and you're done! You'll get a confirmation email right away. Just add your cell phone number to you account information in your parent hub and get reminders sent straight to your smartphone before your child's session. Five minutes before your child's session starts, have them use their username and password to sign in to their kid hub. There will be a big 'Start the Session' button for your child to click. 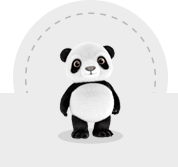 You can reschedule or cancel up to 24 hours before any of your PandaTree sessions with no charge. If you ever have any questions or need assistance please email us at customercare@pandatree.com or give us a call at 1-844-27PANDA (1-844-267-2632). All of us at PandaTree want to be there for you when you need us. or before their next session (whichever is sooner), and we'll give you a full refund.